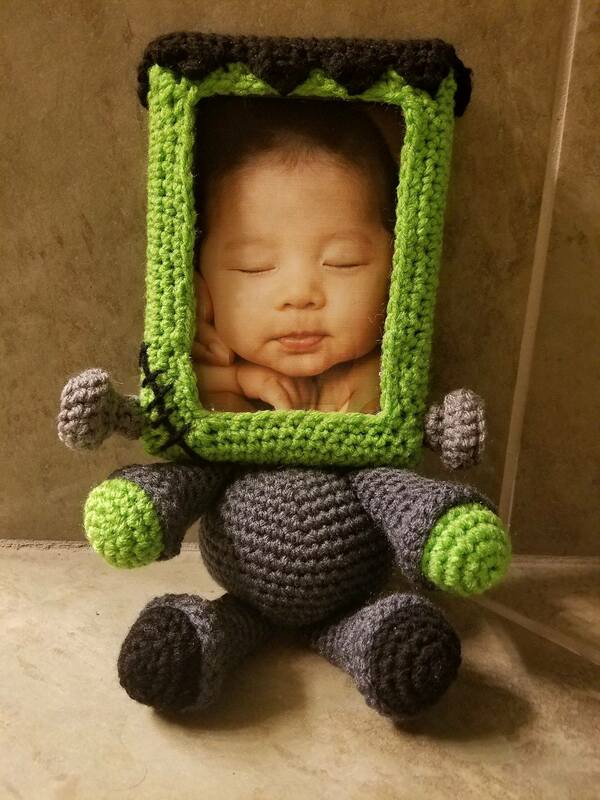 I finished my second amigurumi this afternoon! Another Super Mario character, Toad! He was a little bit harder than the Goomba amigurumi because he had more colors and designs. 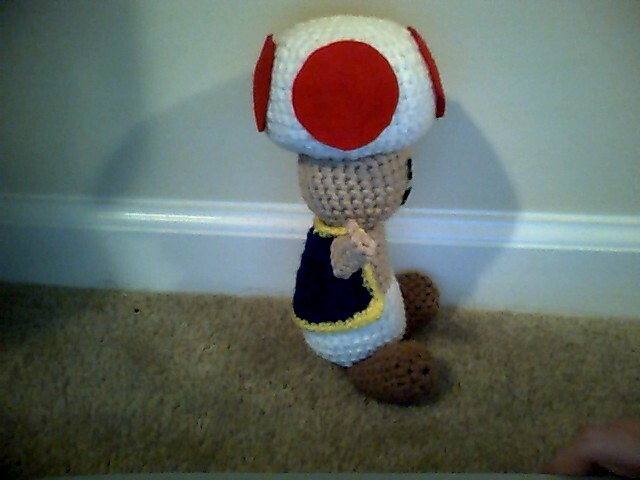 I used the pattern from http://wolfdreamer-oth.blogspot.com/2009/08/toad-and-toadette.html. However, I did change a few things. 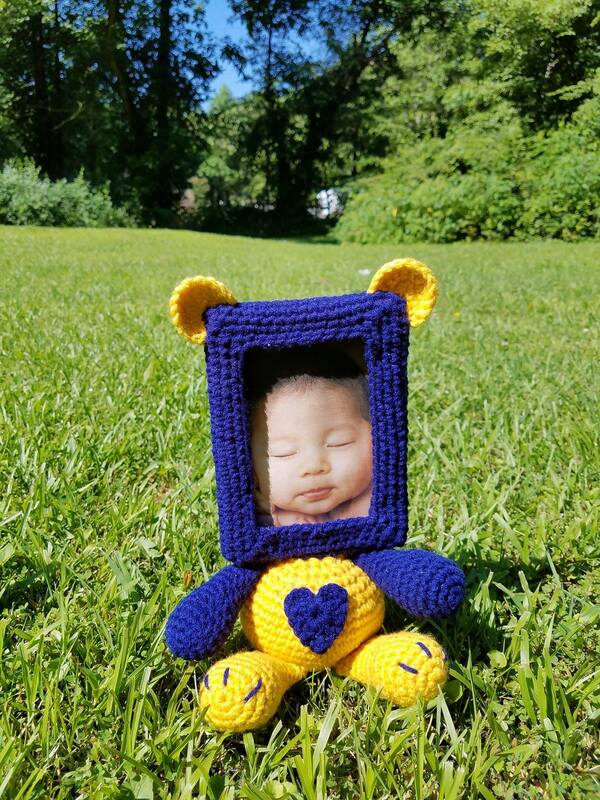 With the help of Beau, we made the mouth different by adding a tongue and a happy smile. 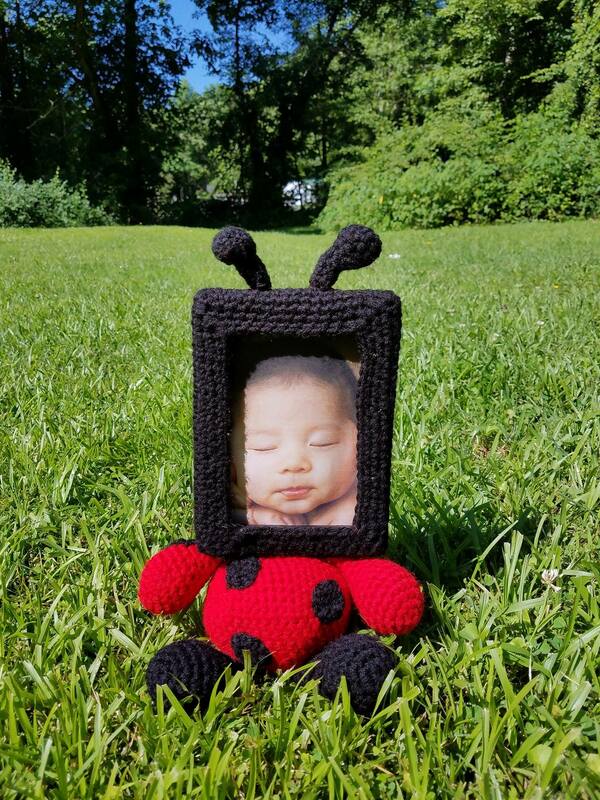 I also didn’t crochet the red circles on top of his hat. I used normal stuffing in the body, head and hat. 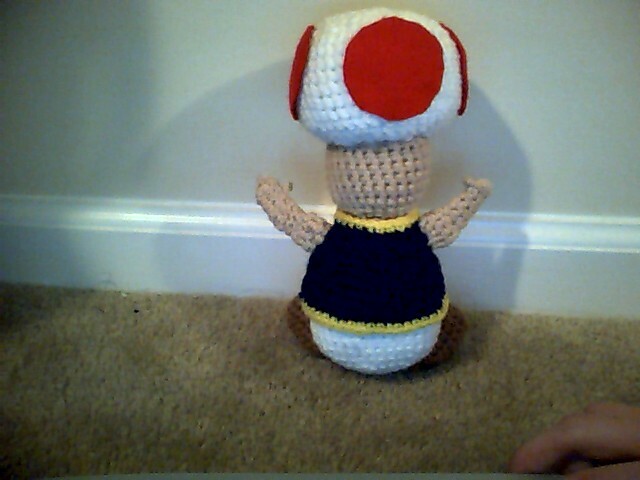 But, for the feet I added little rocks to help Toad have support because his upper part is so big he was having a hard time balancing. 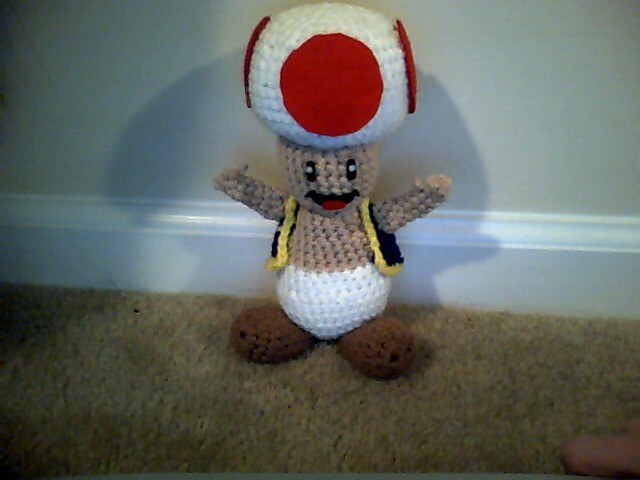 I think Toad turned out great.